Not everybody in the LGBT community has a coming out story because often it’s hard to accept that you might lose everything for just coming out and being yourself. 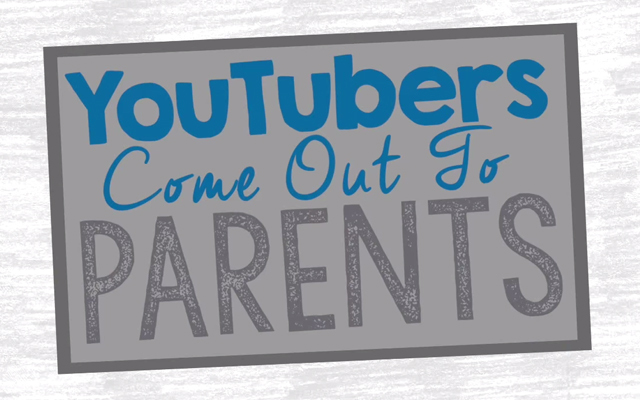 This can mean that Youtube is saturated with coming out stories of people who were a little nervous but ultimately knew that they had a strong support system and were willing to come out. Youtuber Ashley Mardell is looking to break that stereotype by working with other YouTubers in the community to tell raw and real coming out stories. Although her story is essentially a fairy tale she understands that not everybody has it as easy as her and she’s looking to reach towards those people in a less than perfect household. The Youtubers that came forward and provided their coming out stories were ChandlerNWilson, HeyoDamo, AmandasChronicles and Timmy Timato. They each sat dawn and explained what they identify as and then began to tell the tale of how they came out. Ashley Mardell perfectly spliced their stories in a way that brought you on an emotional journey with all of them and didn’t make you feel bored or anxious having to sit through each story one after the other. Some of them had it easier and their family accepted them wholeheartedly right off of the bat. Meanwhile some struggled with their families but were able to find acceptance in friends and other family members. Even though they all come from different places and had very different stories the one thing that they all had in common and talked about was the fact that they all felt like they were able to relax and be themselves. Even though Ashley Mardell wanted to chronicle stories that showed a new, less light and fluffy side to coming out it’s important to still know that if you find yourself in the closet and you know that your life, health and/or safety will be compromised if you come out then you are under no obligation to do so. It’s nice to hear stories and become part of a more equal and accepting world but never feel pressured to come out to everyone. You can choose who you tell and how you go about it. Stay safe and enjoy watching the video! This entry was posted in Coming Out Stories, Equal Rights and tagged acceptance, coming out, parents by Cassidy. Bookmark the permalink.